Davonta Beckham is an accomplished and enthusiastic fine artist with a mission: to tell stories that will set people from everywhere up for success in life. With dreams of telling those stories through relevant art and the opportunity to work towards that goal while in college, Davonta designed a set of innocent and powerful characters to speak about the truths and challenges that we all face in life. Born and raised in Dayton, Ohio, Davonta came to Fort Wayne in 2013 for college and to run track. He graduated from Indiana Tech in 2017 with a degree in Marketing and Graphic Design. 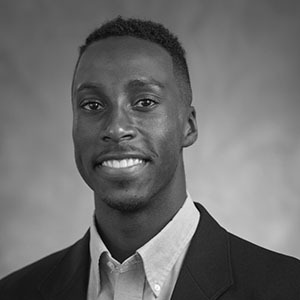 He’s the creator of Art of Beckham, captain of Indiana Tech’s national champion track and field team, marketing intern at MedPro, and an eternal optimist who looks to people for continued inspiration to create authentic art that communicate these beliefs best.